Hard to believe yet another month has gone by already! I feel like winter has just been dragging and dragging so I’m so looking forward to spring; the warmer weather, birds chirping, spring blooms… I just can’t wait! All this snow and cold has been getting me so down lately that I need something to help cheer me up until I start seeing Daffodils and Tulips again and thankfully I know just what will do the trick! Another Small Business Saturday post!! Yayyyy!!! Last month I was introduced to some amazing small businesses that I hadn’t heard of before because of an artisan pop-up market I participated in and I’m so happy that I had the pleasure of meeting the makers behind these businesses. I think that’s one of my favourite parts about shopping local; meeting the women and men who are working tirelessly behind the scenes to make and create their unique and one-of-a-kind pieces. So let’s get started shall we? I had the pleasure of meeting Teri through the pop-up market I was a part of earlier this month and as soon as I saw her beautiful candles (and smelled them) I knew I was hooked! Teri creates visually stunning works of art made entirely out of natural soy beans which makes them safe to burn around infants or pets. Her business started shortly after her daughter was born; as Teri’s explains on her Etsy page, she was worried about what her daughter was potentially inhaling if she burned candles within her home. Were they all safe? What possible chemicals were being let off from the wicks? 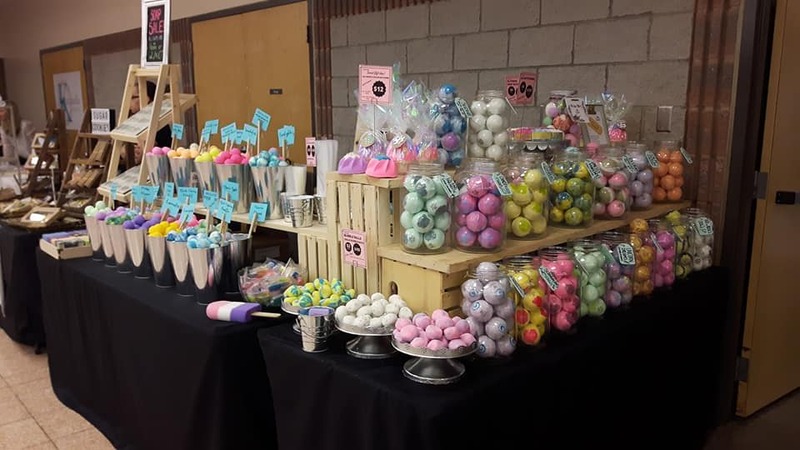 These questions weighed heavily on her mind and after some research, she began creating her own unique soy candles which blossomed into a popular business venture. Not only do these candle smell amazing but Teri actually takes the time to ensure that the packaging they come in is equally amazing. From the labels to the jar toppers, you just know that she’s put in time, effort, thought, and love into each and every one of her creations. 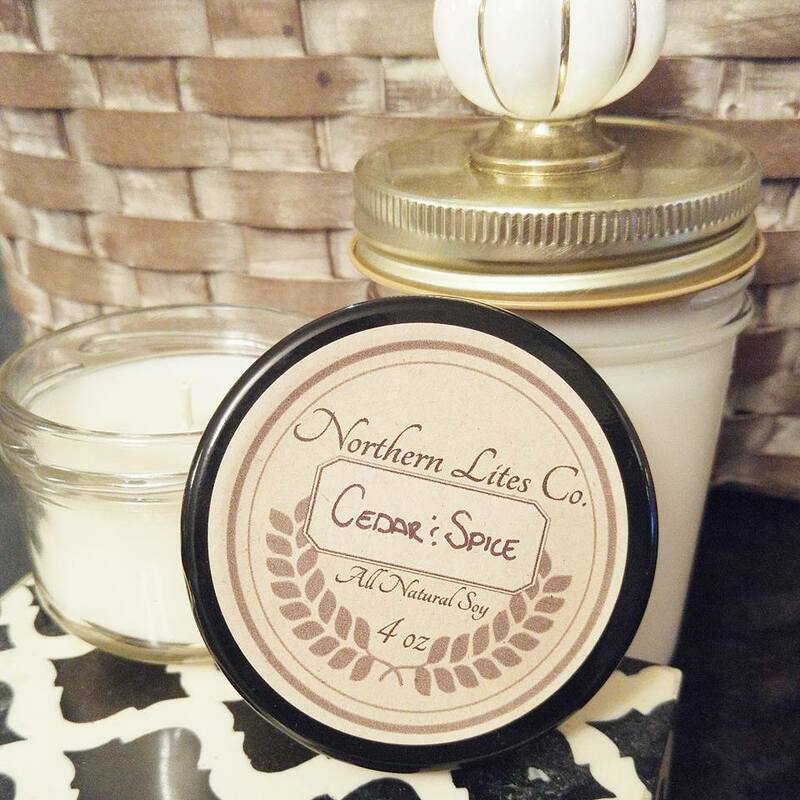 You can find Northen Lites Co on Facebook as well as Instagram or through her Etsy shop! I’m not sure what it is about these sisters but they are definitely a talented family! Heather, sister of Karen who runs Out of the Woods Designs, just recently (as in December!!) opened up a hair accessory business and it has TAKEN OFF to say the least! I knew of Silk and Scarlet early on from OotWD but I actually met Heather in January at the same pop-up market as Northern Lites Co and I’m so glad I did! She is one of the nicest women I’ve ever met (must run in the family!) and has been so supportive of not only my business but tons of other local businesses. Her bows, head wraps, turban hats, and hair ties are not only adorable but also fashionable and the best part is the fact that she makes them in adult sizes too! How cute is that!? 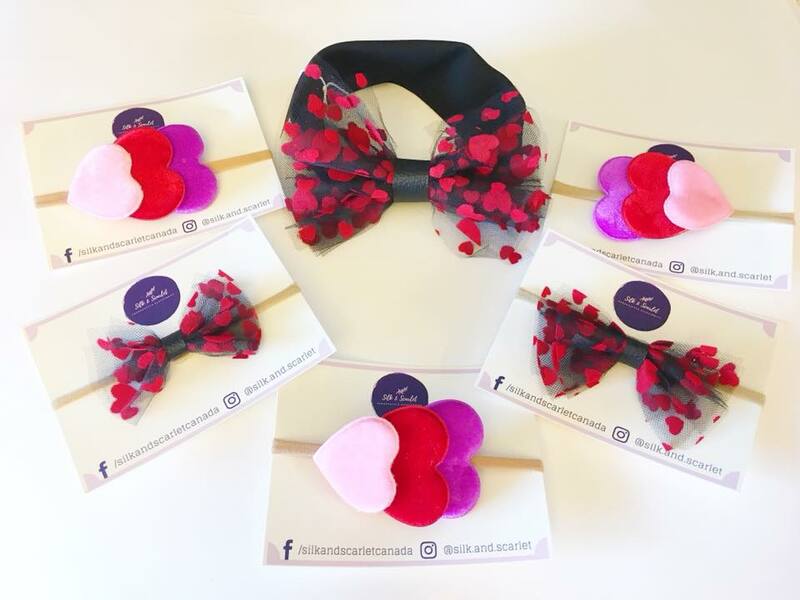 If you have a a little girl that you love twinning with or if you just love super cute hair accessories then you’re going to love this shop! In the short time that Silk and Scarlet has been opened, they’ve sure have made quite the name for themselves, even being featured on Destiny Moniz, star of TLC’s Rattled, Instagram picture! I know this shop is one of mine and soon-to-be yours favourite shops! You can find Silk and Scarlet on Facebook and Instagram! Hilary has been capturing moments in mine and my family’s lives since before Nate was even born! I’ve known Hilary since elementary school so when I was looking to get some maternity photos taken when I was pregnant with Nate, I was really excited to get back in touch with her. She had come highly recommended from several friends who had had photos done by her and we were definitely not disappointed! As our Nate got older, Hilary was right there to capture his milestones for us. Whether it was six months photos, his first birthday cake smash, or second birthday/family photos; Hilary has been there documenting these precious memories for us! She was the first person I thought of when I wanted to get maternity photos done when I was pregnant with Eli and there is no one else I can imagine taking his first birthday pictures other than her! Hilary is beyond amazing to work with too. She’s so warm and welcoming that you just can’t help but relax and smile when you’re around her! Hilary also keeps stepping up her game with her poses and editing as well. Every time I see the wedding pictures she posts I completely swoon! You can find Hilary on her website, Instagram, and Facebook accounts! As a mom of two boys who are both very busy in different ways, you gotta guess that I love a good bath! It’s one of the few times where I actually get time to myself and can just relax. And what makes a hot bath even better? Well, Blazing Bombs that is! I’ve tried numerous bombs and I generally have liked them all but I absolutely LOVE Blazing Bombs! My husband got me a few for Christmas and I’m obsessed! Handmade in Newcastle, ON, these bombs come in the most scrumptious scents including Wine Time, One in a Melon, Jungle Juice, and Cereal Killer just to name a few. Not only do they smell good enough to eat but they create the fizziest baths ever! Meghan has some serious talent when it comes to making these that’s for sure and she doesn’t just create bath bombs! No, Meghan also has shower steamers, bath salts, sugar scrubs, as well as some gorgeous glycerin and crystal soaps which I’m dying to try! Blazing Bombs can be found on Facebook, Instagram, as well as their webpage! Seriously, go check them out! You will not be disappointed!! Excuse my drool but would you look at how amazing that cake looks!? Oh-Em-Gee!! Seriously Cupcakes and Studmuffins creates some of the most drool-worthy creations I have ever seen! I also met this amazing business at the pop-up vendor show and I am so glad I did! I have always LOVED anything baking/cooking related (yet don’t like to actually cook? weird right!?) and so any time I come across a bakery account or business I immediately want to follow and fully creep on so I can get my sugar fix. 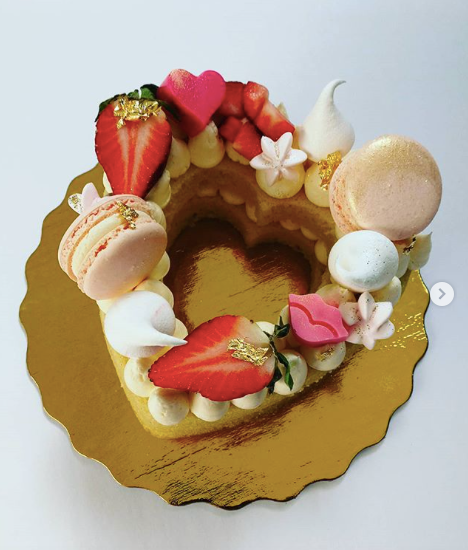 Michelle whips up some amazing creations from cupcakes with names like Early Riser, Indecisive, and Dad Bod, to gorgeous cookie creations, to amazing custom cakes; you’re bound to get your fill of sweetness and then some! But that’s not all this amazing small bakery business does! They also have another aspect to their business called Tango’s Barkery which creates one-of-a-kind dog treats for your sugar tooth loving pooch! How adorable is that!? And even better, is the fact that 10% of sales from these treats goes towards the Farley Foundation which assists low-income families with their expensive veterinary bills. I also love when small businesses give back to their community! You guys NEED to check out Cupcakes and Studmuffins webpage too. But don’t just look at the mouth watering pictures, actually READ IT because if you do, you’ll get the best laugh from it! You can find this fabulous business on Facebook and Instagram as well as their website! Oh my goodness! It’s a good thing that I’ve learned self control when it comes to using my Visa card because honestly, I want to buy everything that The Dapper Dodo posts! 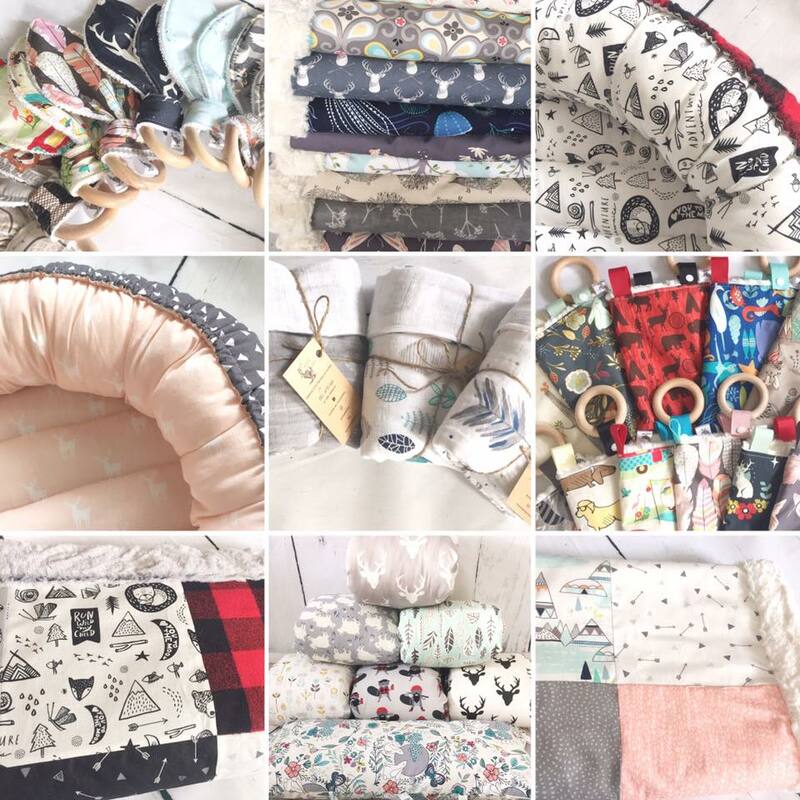 This shop creates some seriously gorgeous baby nests, quilts, ring teethers, taggie blankets, nursing pillows, and baby blankets for the special little one in your life. All the fabrics are absolutely stunning to look at and seriously make you want to shell out your entire bank account so you can have one of everything. I’m obsessed with these ‘baby nests’ I’ve been seeing all over Instagram lately and have been looking into purchasing one for Eli because they just look so comfy-cozy; and The Dapper Dodo has made some of the best ones I’ve seen to date! Although I’ve seen some other businesses use similar fabrics, The Dapper Dodo has a way of creating their pieces in a way that makes me interpret the fabric in a completely different way. All their quilts and baby blankets are back using what appears to be the softest ‘minky’ fabric and basically looks like Heaven if you ask me! I am completely obsessed with this shop and not just because of the items that they create! No, the owner of this business has a full time job and does this on the side. How crazy!? I know many, many, MANY shops also have owners who work full or part time (or spend the day chasing around rambunctious littles!) and it always amazes me! I think what gets me about The Dapper Dodo is that she doesn’t just take orders from customers online, she also wholesales some of her items to a storefront in downtown Whitby. I can’t imagine how busy this shop must be from being a busy mom, to working full time, to taking custom orders, and to wholesaling! Jeeze, my head is spinning just from thinking about it! You can find The Dapper Dodo on Instagram and Facebook! When I was pregnant for a second time and we didn’t know what we were having yet, people would often ask me if I wanted a girl because I already had a boy. I would always say that I didn’t care either way; as long as we were having a healthy baby, I would be fine with either gender. Then we found out we were expecting another boy and I was completely thrilled. I loved the idea of Nate getting to have a little brother and to be honest, the thought of having a girl terrified me a little bit. 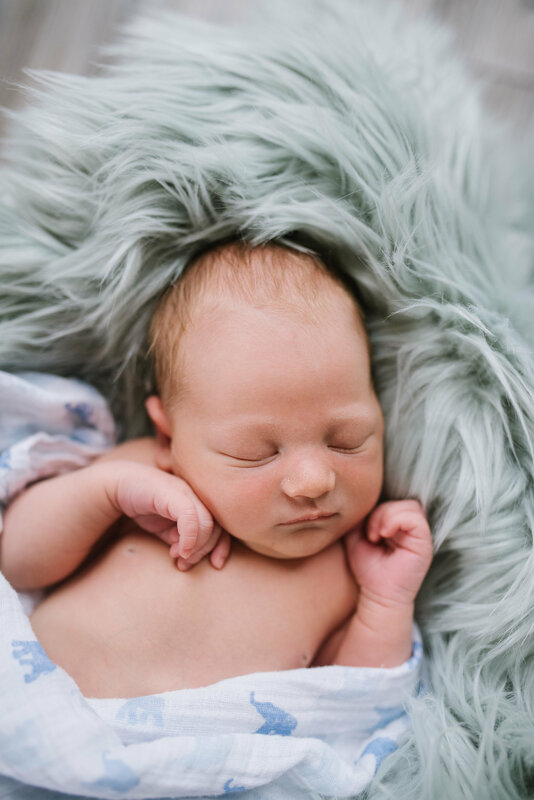 After Eli was born I decided I was totally content with being a ‘boy mom’, that is until I came across a few girly shops like Lovely Little Blooms and started swooning over all the adorable floral headbands and bows! 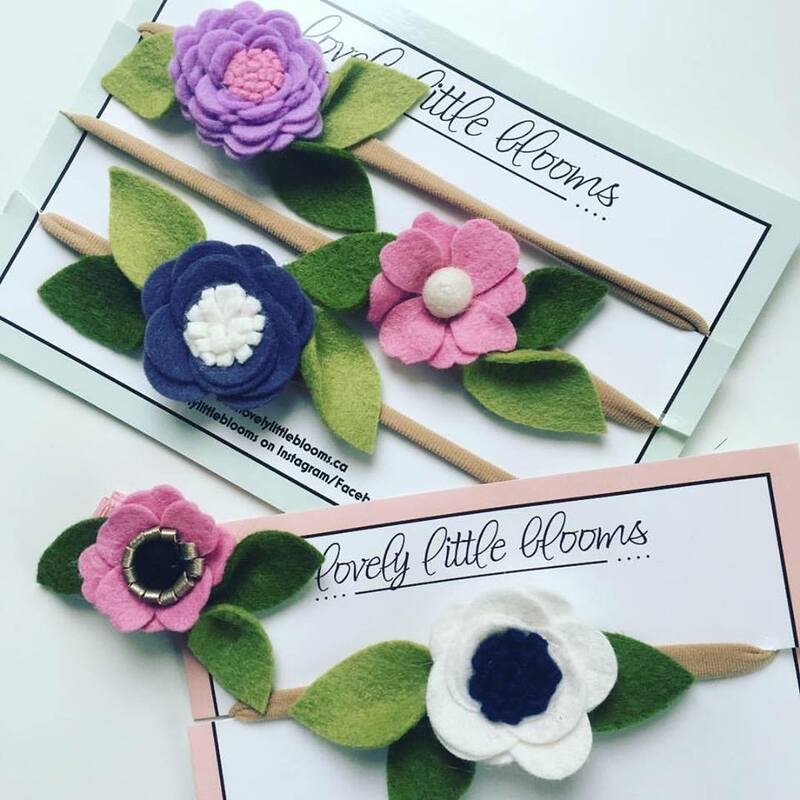 These felt flowers are absolutely beautiful! Whether they’re on a headband, crown, or a string of garland, they are so cute! Natalie’s pieces are wearable works of art and I’m in love with them! I might not have a little girl of my own but I have plenty of friends with daughters who would – and do – look adorable in these pieces! Maybe one day I’ll have a daughter or niece (hint hint to my sisters!!) that I’ll be able to adorn in all these pretty flower headbands! You can find Lovely Little Blooms on their Etsy page or Facebook and Instagram accounts! It’s safe to say that I’m obsessed with beanies. I love everything about them. I love their floppy backs; I love their cute patterns; I absolutely love how adorable my boys look when wearing them. I love them all! And some of my favourite beanies come from this small business Love Squared Kids! This shop creates beanies with bold, contemporary fabrics as well as ones with more subtle and subdued patterns but all are just are gorgeous as the next! Nate received one from a friend of ours for Christmas and I love how adorable he looks in it! He has the buffalo plaid one pictured above and it matches with his jacket perfectly. Every time he’s gotten to wear it (because it’s winter and still freezing out) my heart flutters a little bit. 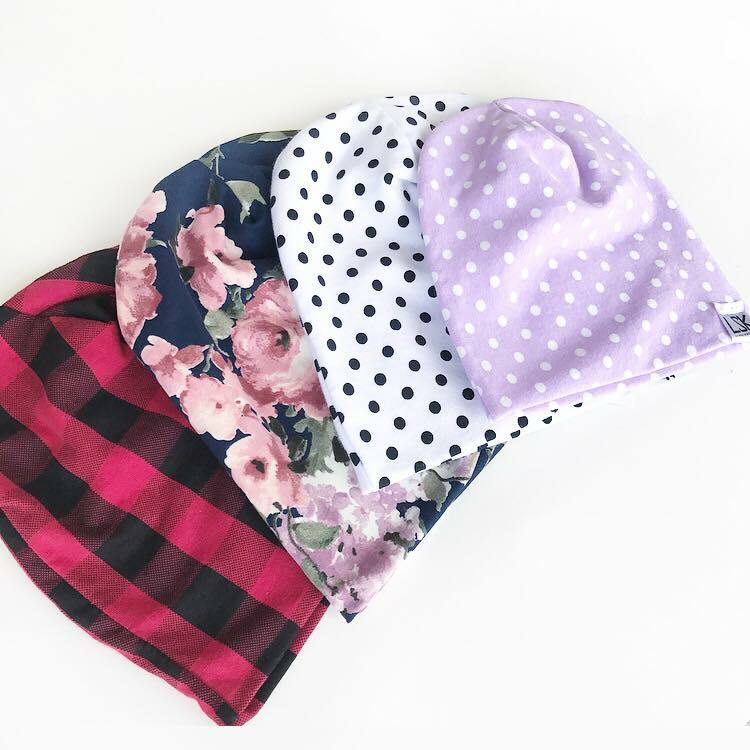 I could spending a solid hour scrolling through the Love Squared Kids website just looking at all the beautiful floral beanie fabric options they have. There’s also some super dino prints as well for your little dinosaur boy or girl! And here’s the best part (in my opinion) they don’t just make infant, toddler, and children’s beanies! No, they actually make ADULT SIZE beanies too! Say what!? Yep, that’s right! Some of the fabric options are available in adult and adult XL sizes. So amazing right!? This shop is a definitely must to check out! You can find Love Squared Kids on their webpage, Facebook, or Instagram accounts! I know I basically say I’m obsessed with every shop I post about but honestly, it’s true and it’s exactly how I feel about Karamella Designs! Karen creates some AMAZING jewelry that is not only unique but also affordable! Each piece is created with the same love and devotion as the last and regardless of what your style or taste is, you’re bound to find something that you’ll love forever! 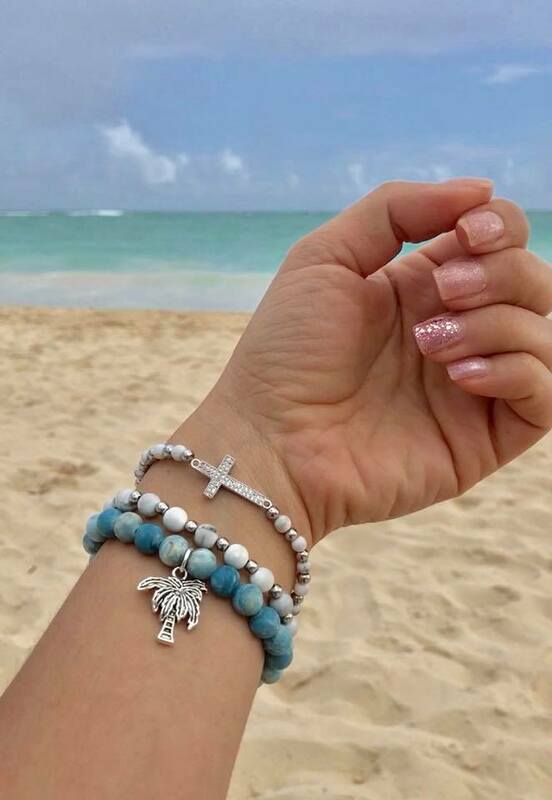 From gorgeous single or stackable bracelets, to personalized stamped necklaces, to sweet and quirky charms; there’s nothing this shop doesn’t have! Karen also donates proceeds from some of her sales towards SickKids, Emily’s House, and Love Box and she also runs several fundraisers for varies charities such as the Super Sophia Project. Her bracelets have also been worn by TV personalities like The Social’s Melissa Grelo! How cool is that!? I actually purchased a necklace for my mom for Christmas from her this past December and I’m not going to lie, I had a hard time giving it up! If you’re a huge jewelry lover or you just want one or two pieces that you can constantly wear then you’re definitely going to want to check out Karamella Designs! You can find this shop on Facebook, Instagram, or on their Etsy and web pages! Well, there you have it! February’s features for my Small Business Saturday post! I sincerely hope you guys check out these amazing, small businesses because if you do, I know you’ll fall in love with them just like I have. This blog series is something I’m so passionate about and I truly appreciate each and everyone of you who take the time to sit down and read about these amazing businesses! Previous Post Eli at SIX Months Old! Next Post Eli at SEVEN Months Old! Thanks Heather! I’m so happy to have made you tear up! lol 🙂 but seriously, I love your stuff and you’re doing a fantastic job! !